It was a random Saturday night. I was on my way home, when a thought entered my mind. How many Chinoys (Chinese Filipinos) are on television and movie screens right now? That question led to more questions, eventually leading me to a stunning realization. 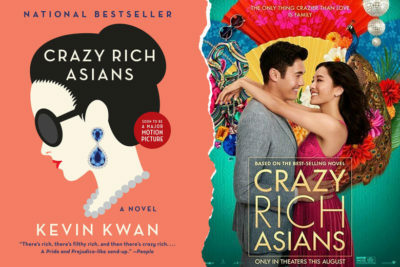 All across the world now, people are celebrating the release of the movie, “Crazy Rich Asians,” the first Hollywood film in 25 years to feature an all Asian cast with a contemporary setting and devoid of martial arts. There are some who are perplexed, even peeved about why this film has been much ballyhooed about, but indeed, this movie is significant. Yes, it is wildly entertaining; probably the best romantic comedy movie in a few years, but it is also, a landmark event. Besides the movie’s all Asian cast, the crew was also led by an Asian director and scriptwriters, with even most of the soundtrack in Chinese. It is an amazing display of representation, and if it hasn’t been made clear enough, representation is important. Growing up, I only saw Chinoys, people who looked like me, portray 2 roles; comic relief, or martial artists. Sometimes, even non Chinese Filipinos would be asked to portray Chinoy roles. Most of the time, they were made to appear like they couldn’t even speak Filipino properly, speaking with a tragically-horrible, heavy, halting accent. There were no Chinoy romantic leads, no television hosts, no newscasters and no matinee idols. Working in front of the camera never seemed to be a possibility for someone with “singkit” (small) eyes. Of course, I always had a dream to be a cooking show host, but everyone I told of this dream had a similar reaction, that of mild amusement. It was a silly dream; after all, there were no “singkits” on screen. Then, the first season of Pinoy Big Brother Teens came in and through that, the world was introduced to Kim Chiu. A successful stint led to television and movie roles, made all the more effective with a charismatic love team with Gerald Anderson. Finally, what I call an “out and out” Chinay was on screen! Her name, looks and even her mannerisms were clearly Chinese Filipino and she was portraying romantic leading roles. She wasn’t being laughed at and she wasn’t doing kung fu. She spoke Filipino the way we Chinoys do, which is exactly the same as every other Filipino. She was just the girl next door, finding love with the cute boy next door. Some may see that as nothing, as just one lucky woman who can now be seen on TV and in movies, but I see it (belatedly) as a watershed moment, much like “Crazy Rich Asians” the movie. Seeing Kim on screen may or may not have inspired a host of other Chinese Filipinos to try for onscreen work, but I certainly felt less weird about auditioning for TV, knowing she was so popular. In my opinion, it gave us “permission,” even if we never really needed it. Chinoys are Filipino. We live, work and are willing to fight and die for the Philippines, and we should never doubt that we too can work in any profession we desire, onscreen or off. In the years that followed, it was not completely surprising to see Chinoys onscreen anymore. 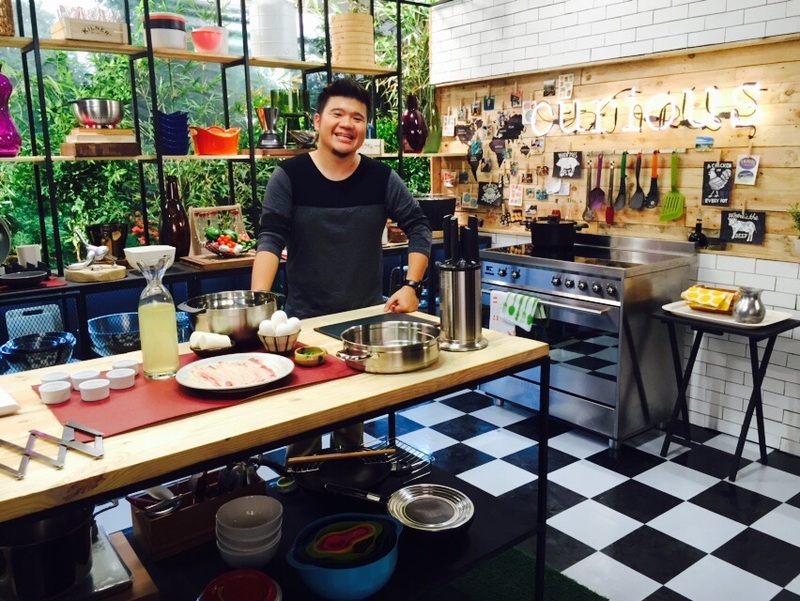 I did a cooking show on Lifestyle TV and I’m shooting a new one now, while Bruce Lim showed his wares on the Asian Food Channel. Willard Cheng is a well-respected TV field reporter, Richard Yap and Xiann Lim continue to make audiences swoon on TV and the movies, while hosts like Gretchen Ho and Janeena Chan are thriving. Was Kim’s emergence responsible for all of our careers? Maybe not, but it sure didn’t hurt us. Now, I am confident that a new generation of Chinoy children see themselves represented onscreen and they see themselves in different occupations, actor, TV chef, host, reporter. Whatever the role, they can see them portrayed onscreen now, and I think we’re all the better for it. Did Kim ever realize how much of a big step her appearance on Pinoy Big Brother Teens would be and how it would affect representation onscreen? I highly doubt it, but that’s the thing with representation. It always seems like a small thing, one all-Asian Hollywood movie in a roster of hundreds of movies without Asian representation or one Chinay given a big break in movies and TV when there were no meaty roles for Chinoys in the past, but in actuality, it rarely is. Representation matters and we need to help make the world onscreen look the same as the world off of it.